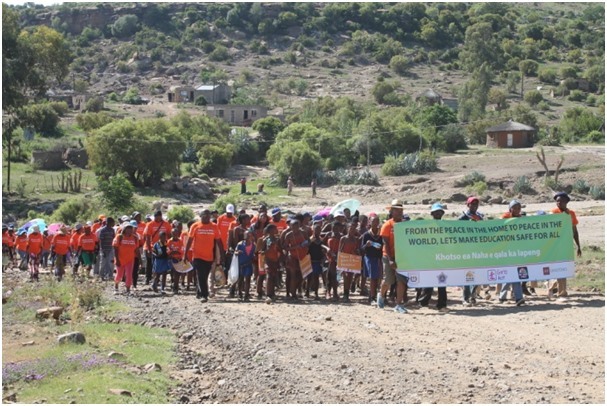 The walk started from the village of Ha Teko, with school children carrying placards condemning the violation of their rights, and more youths, women and men joined the walk led by the event’s Master of Ceremonies (MC), Mantsalla Ramakhula, who encouraged community members to participate in the walk to the destination of Ha Ramorakane, 10 kilometers away, to gain information on gender-based violence, domestic violence, the dangers of “child marriage”, the need for education for all – including girls and boys – and men’s health. To encourage people to speak out and report abuse when they experience it. 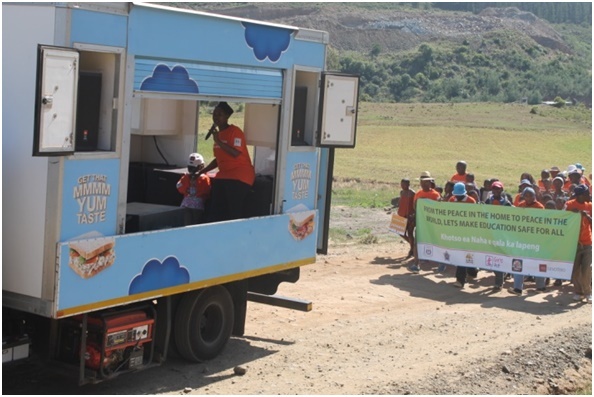 The chief of Ha Ramorakane village, Ramorakane Ramorakane, addressed the audience, saying he is “concerned about the rate of domestic violence in our villages”. “That is why it is important to have activities such as the one we have today, so that we can learn about the effects of gender-based violence and domestic violence. I urge you to listen carefully to the advice that you will be given today. But don’t only listen. Practice it in your in your lives and how you relate with one another going forward. It will help make our living conditions healthy and conducive,” he said. 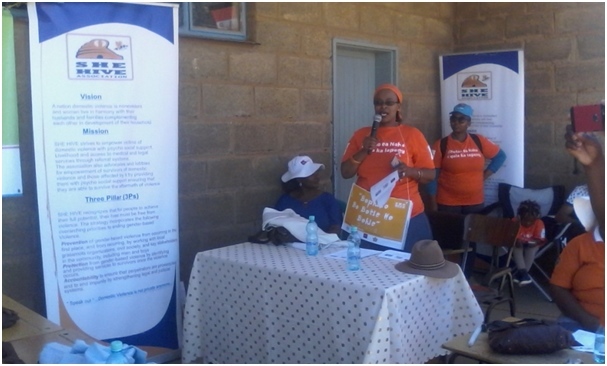 She-Hive Association founder and Executive Director, Mamakhethe Phomane, also addressed the crowd. 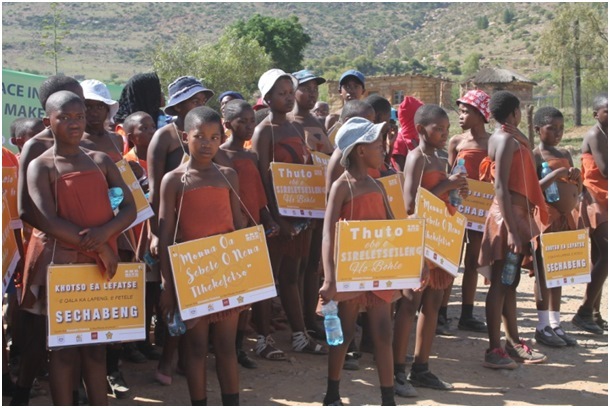 “I’m alarmed that in spite of visible efforts aimed at addressing violence we still have far too many cases of domestic and gender-based violence in our communities,” Phomane said. She went on to highlight varied forms of abuse including physical, emotional, psychological and material abuse. She also encouraged the formation of community-based empowerment programmes and income generating activities that would help reduce women’s dependence on men for financial support – a major cause of violence in households. 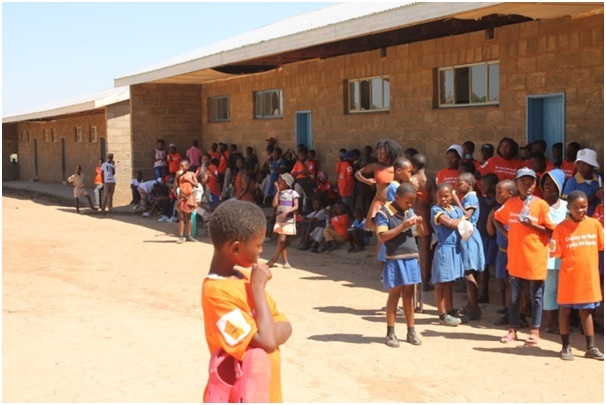 Addressing the youth and school children, Phomane talked of the importance of education and that they should use it to their advantage as that will help enlighten them in life. She requested men to join the fight against forced “child marriage” as it hinders the growth process and education of girl children and also violates their rights. She pleaded with men to help ensure that education in inclusive of all – boys and girls equally – and to ensure that women and girls have freedom of movement without fear of being abused or abducted. 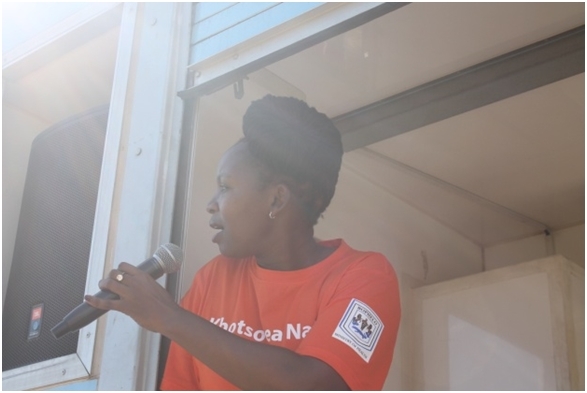 Speaking on behalf of AIDS Health Foundation, executive director ‘Mapaballlo ‘Mile, encouraged communities to take good care of their health because it they don’t it will affect them psychologically and spoil their relationships with their families and communities. “Men, especially, should take their health seriously. Men must test prostate cancer. Men must test for breast cancer, as there is evidence that it also affects men. Men must look after their overall health status. 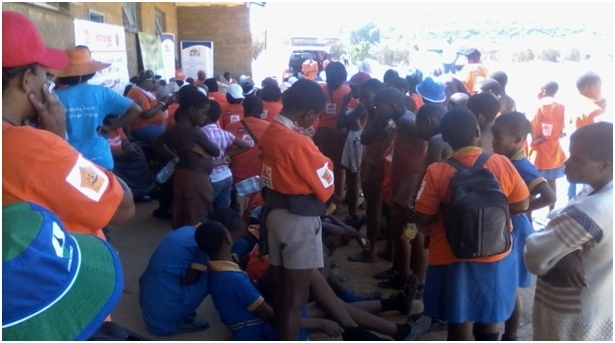 Men must go to the clinic regularly for check-ups, precautionary measures and treatment. A healthy man functions well and his manhood is not challenged easily,” ‘Mile said. 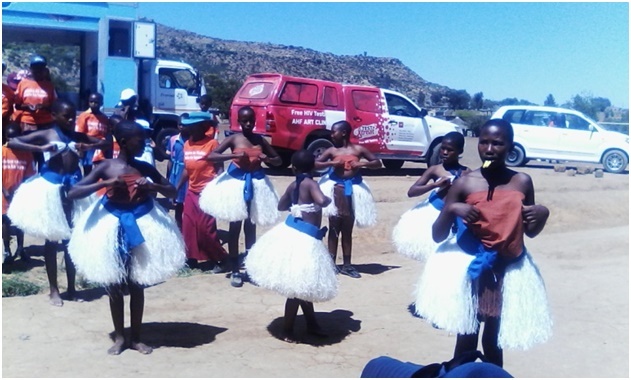 The event ended with a film screening by Sesotho Media and Development, which highlighted issues of domestic violence. The screening was followed by a discussion with members of the audience who raised various issues, including the abduction of girls and women, forced “child marriage”, domestic violence and exposure to infections such as HIV. 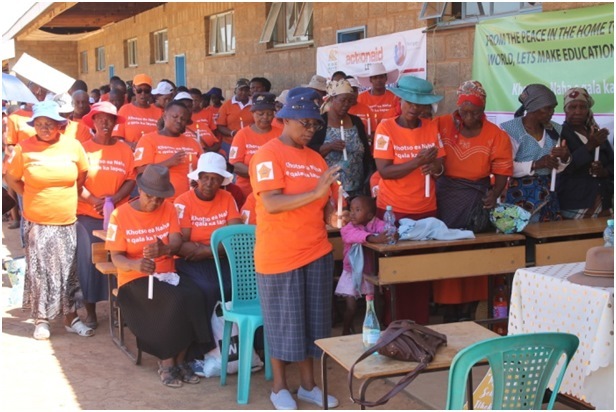 Men mentioned that they are happy to be included in the awareness programme. They pledged to stand against abuse and to take good care of their health.